A staycation holiday in a cliff top house on the Northumberland coast sounds like the perfect place to rest, relax, and escape the busy world for a while. For those of you who don’t get the chance to do this, then Sea Music by Briege Brannigan will certainly get you imagining that you are there. In the novel, artist Jess Cooper decides to get away from it all and to come and see the amazingly rugged Northumbrian coastline. The large house on the cliff’s edge however seems to give her a sense that she’s been here before somehow. Soon she becomes haunted by a woman’s name - Lydia - and she even sees her face. This Northumberland retreat may not be the restful place she hoped for! 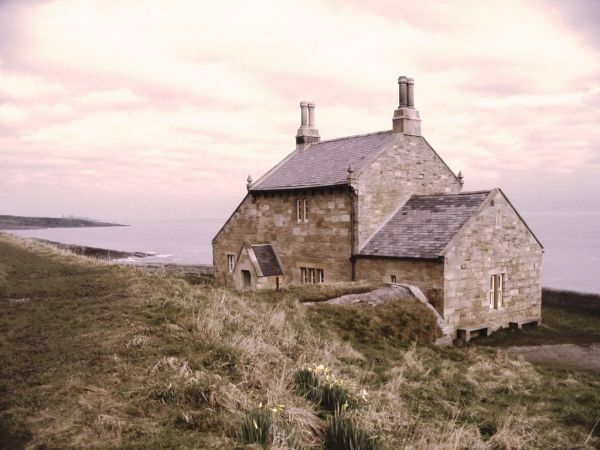 A house with a past perched precariously on the cliff edge in an area of Northumberland where history and secrets meet is the ideal setting for a novel of gothic tension. There’s certainly a lot of history on the Northumberland coast, with tales of battles and shipwrecks, so the chance of there being secrets and ghosts holed up in one of the buildings here is maybe not as far fetched as first appears. “The view was spectacular; the North Sea rolled past the Farne Islands and the impressive Longstone Lighthouse from which Grace Darling had her father had set off on their rescue mission....” The Grace Darling museum is situated in Bamburgh and the views standing on the coast and looking out to the Farne Islands is stunning whatever the weather. Sea Music of the novel is surely located near here and there are plenty of viewpoints to stand and imagine, bringing the novel to life right before your eyes. There are numerous properties and places dotted along the rocky cliffs of the Northumberland coastline that might have been the inspiration for Brannigan's Sea Music house. 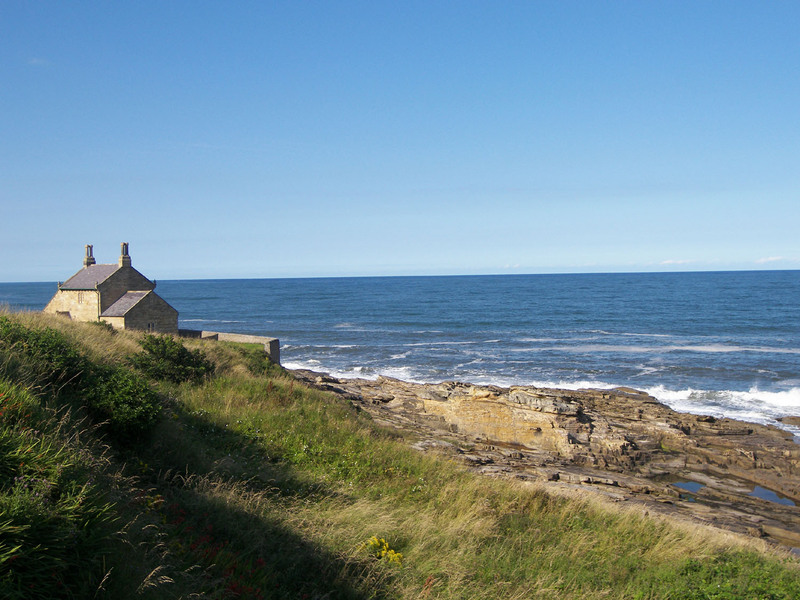 For example, a little to the south, The Bathing House at Howick is an almost perfect match. Set in a superb position on the cliff edge above a secluded sandy cove below, it was built in the early 19th century by the 2nd Earl Grey of Howick Hall as a bathing house for his large family. The house commands panoramic coastal views from every window. The majestic ruins of Dunstanburgh Castle are to the north and distant views of Coquet Island to the south. If the weather is nice, there’s plenty of time to head along the coast to Seahouses as this is where Jess goes to explore. It’s not mentioned if she tastes the famous local fish and chips, but she should have done - and so should you! If you want to take a taste of the Northumberland coast away with you, Swallowfish Ltd is a must-visit - you can't get much more Northumbrian than kippers! This truly unique and charming Grade II listed building stands in an idyllic and desirable location on the Northumberland coast. Set in a superb position on the cliff edge with sandy cove below with wonderful views. Beautiful gardens, woodland walks, Sensory Garden, a Prime Minister and a famous cup of tea - Earl Grey of course since Howick was him home!